Batter up! When Brad accidentally breaks the ice cream shop's sign, the owner forgives Brad. But when his best friend Doug ruins Brad's favorite baseball cap, will he be able to forgive Doug? Find out in this Seasons of Faith illustrated picture book adapted from classic Children's Bible Hour radio episodes. 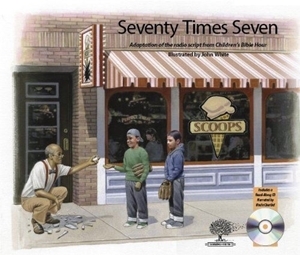 These softcover books also include a CD of Uncle Charlie reading the story.